Greener Pastures Leviticus is an amazing white male. Dr.Julio Sumar evaluated Leviticus at the IAO 2008 Show. Dr. Sumar was very impressed with his fineness, density, conformation, and his size. At the end of the evaluation, Dr. Sumar summarized the evaluation with "He is a very nice boy". As a yearling, Leviticus was the size of a three year old breeding male. His offspring are in the show ring taking championships and their histograms are very impressive. Our 2012 histograms came back with the highest micron for one of his offspring being at a low of 18 microns. That was from a two year old breeding male. Leviticus is an Accoyo Peruvian Legacy son and to top that off, he is an Accoyo Peruvian Elite grandson. WOW!!!!!!!!! It doesn't come better than this. If you want fineness, density, perfect conformation, large bone, and coverage to the toes, Leviticus is the male to breed too. You can breed color and get color with Leviticus; so far he has passed the color of the dam to each of his cria. By the way, all of Leviticus's cria including his two year old sons histogram came back this year under 18 microns. Need I say more? 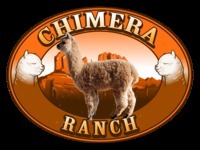 She was bred to Greener Pasture's Leviticus; She delivered a gorgeous light fawn female, Chimera's Jasmine; She is destined for the 2014 show rings for sure. Clandestine is now Bred to Express's Indy, a beautiful white male standing at Sand Creek Criations. Clandestine sells with a breeding to our sire, Mile High Carlton Ritz for any female the new buyers choose.